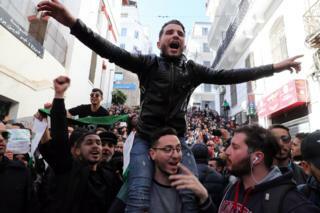 Tens of thousands of Algerian students have joined the protests against 81-year-old President Abdelaziz Bouteflika’s decision to run for a fifth term. 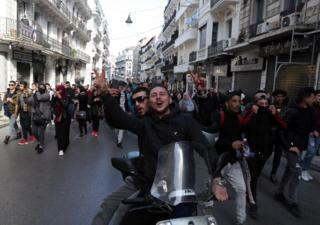 In the capital, Algiers, there were brief scuffles with police who fired tear gas. 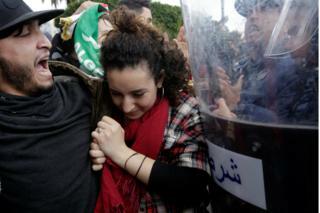 Reports say many more students avoided confronting police by rallying on campus grounds in Algiers and other cities. 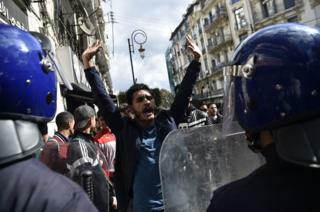 It was the fifth straight day of protests venting anger at Mr Bouteflika’s bid to extend his 20-year rule but the first time state media covered them, Reuters news agency reports. Observers say he is likely to win the vote set for 18 April. 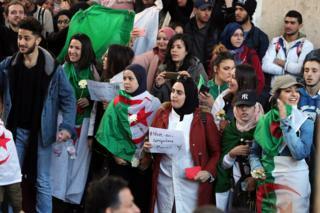 The demonstrations were held under the banner “not in my name” after 11 student unions expressed their support for Mr Bouteflika. 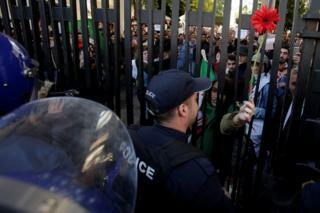 They also asked for government measures to create jobs in a country where more than 30% of under-30s are unemployed. The president, who uses a wheelchair, has rarely been seen in public since he had a stroke in 2013. Despite the rare show of public dissent, the president’s campaign manager said he would formally file papers for his re-election on 3 March. 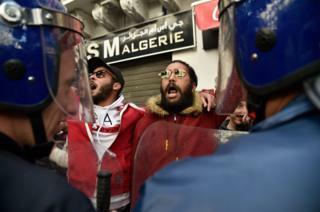 Protests were also reported in the cities of Annaba, Constantine, Ouargla and Tizi Ouzou, all east of Algiers, according to the TSA news website. The president has not directly addressed the protests. His office said he would travel to Switzerland on Sunday for routine medical checks.